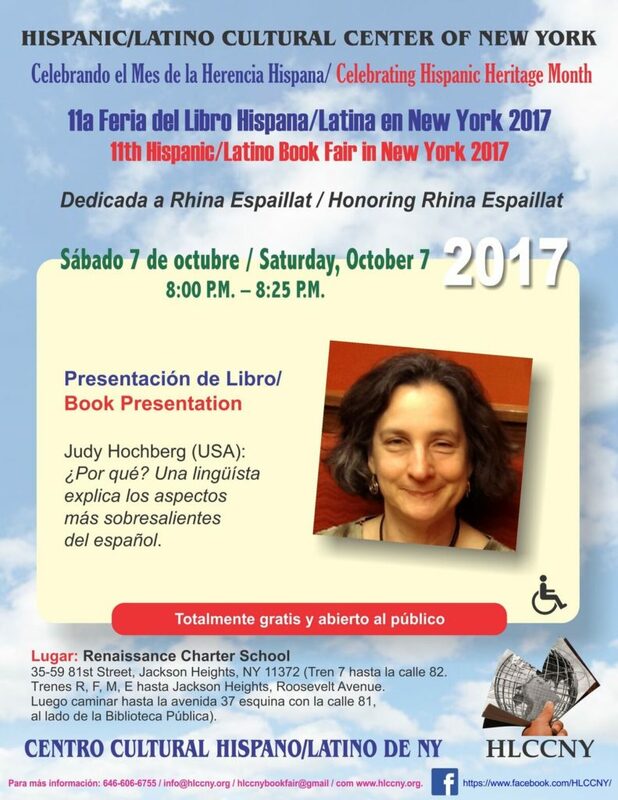 For those of you in the New York area, I’ll be speaking 8:00 pm Saturday night at the 11th Feria del Libro Hispana/Latina in Jackson Heights, Queens. You can see the flyer below. I will also have a table to sell my book on Friday, Saturday, and Sunday. Here is more information about the fair. The organizers asked me to provide an interesting title for the talk, which I did, but I think the result is a bit confusing because it looks like this is the title for the BOOK. Whatever. Also, they added an (incorrect) accent on lingüista — but at least they remembered the diaeresis (double dots) on the u. As a final linguistic note, note that in the name of the fair the organization went with feminine hispana/latina (to agree with feria) rather than masculine hispano/latino (to agree with libro). I find this disconcerting every time I read or say the name of the fair because the adjectives immediately follow libro. This talk will be a real challenge for me because it will be (i) to a non-academic audience, (ii) in Spanish, and (iii) without PowerPoint. It will be my first real attempt to promote my book to a Spanish-speaking, non-academic audience. Wish me luck! This entry was posted in ¿Por qué? 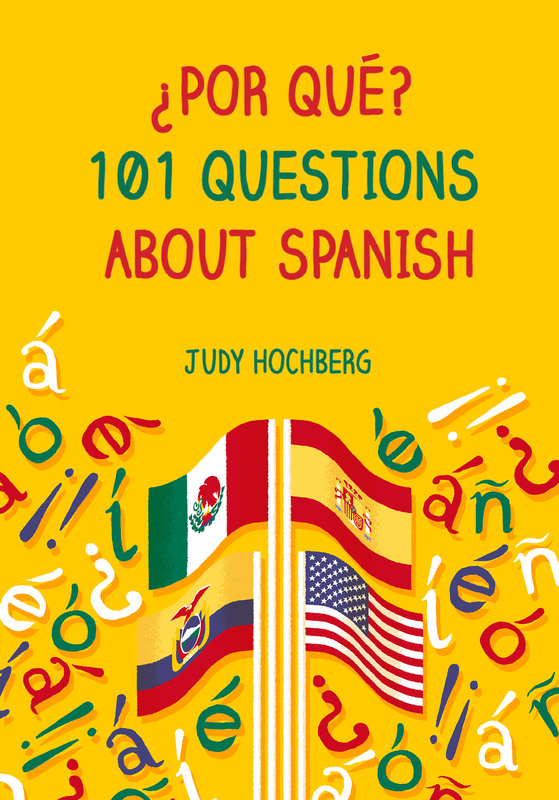 101 Questions about Spanish and tagged HLCCNY on 2 October, 2017 by jhochberg.